Catania may be considered a symbol of revival. Many times destroyed by the forces of nature (earthquakes and Etna's eruptions) and by conquerors who, more than once ransacked and plundered to the limit the city and many times reborn from the rubble; the inscription on the Ferdinandean Gate (or Garibaldi Gate) clearly states "Melior de cinere surgo" (I reborn from my rubble more beautiful than ever). Even if there are many Greek and Roman remains, such as the Roman Theatre, the Odeon, the Roman Amphitheatre and the Thermae, today the visitors can see a Baroque city, totally rebuilt after the earthquake of 1693, and declared by UNESCO World Heritage Site in 2002, together with the seve Late-Baroque towns in val di Noto. Saint Agatha's Cathedral is the Dome of the city, realized by the architect Vaccarini in 1711, in typical Sicilian baroque style, after the earthquake of 1693. 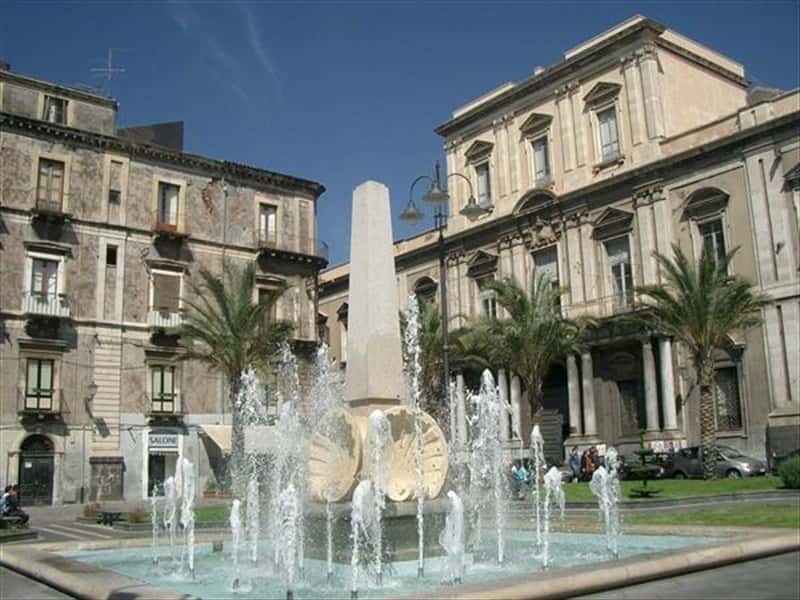 Not too far from the Cathedral, in the middle of the square, there is the symbol of Catania, the "Fontana dell'Elefante" (the Elephant Fountain), assembled by Vaccarini; it is made of marble portraying an ancient lavic elephant and surmounted by an Egyptian obelisk. Catania is also the birthplace of the famous musician and composer Vincenzo Bellini (to whom the Teatro Massimo is dedicated) and of Giovanni Verga, the most important Italian realist writer. This town web page has been visited 91,128 times.